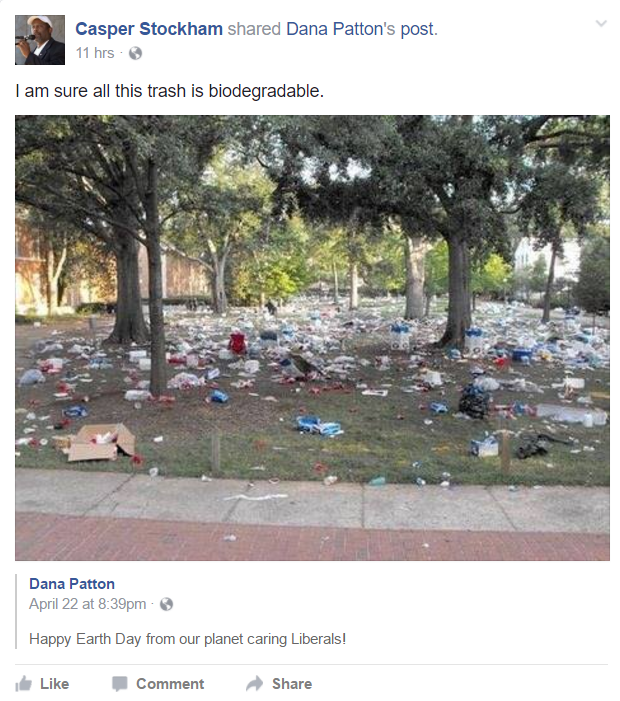 As you can see, the picture totally proves that supposedly Earth-loving liberals are actually hypocritical slobs who leave trash everywhere. I see this sort of claim all the time in the Fever Swamps™, so I did what any reasonable person interested in the truth would do: I investigated. Well what do you know. I am shocked. 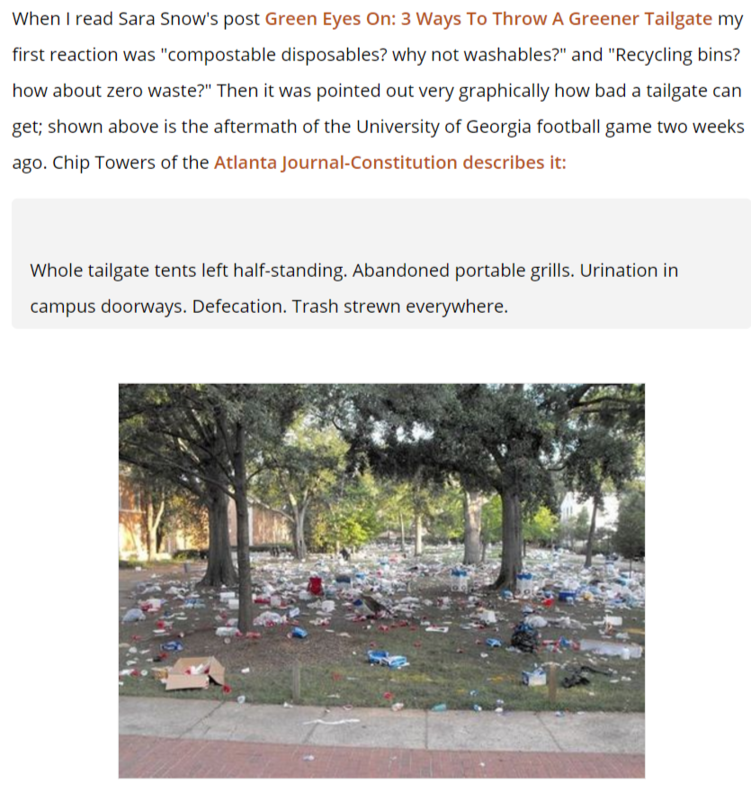 It turns out it was a picture of a tailgating party at the University of Georgia in 2009, not refuse left by hypocritical liberals celebrating our planet by trashing it. 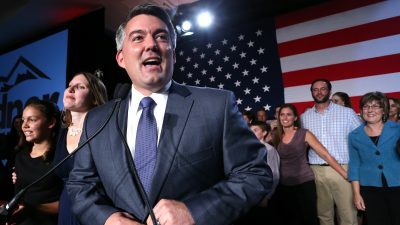 I’m sure Casper would be upset to find this out, and would immediately take down the claim and apologize if he knew the truth. Or would he? This topic contains 0 replies, has 1 voice, and was last updated by Charles Buchanan 1 year, 11 months ago.